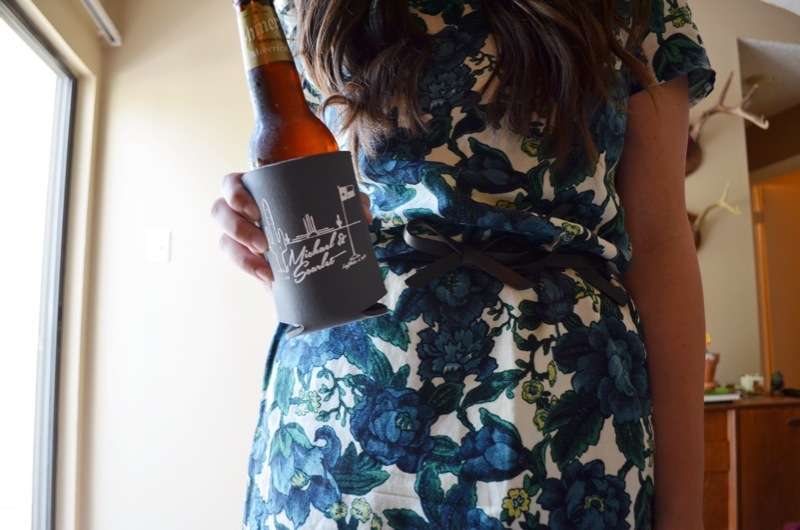 Wedding attire this time of year can be tricky down here in Texas. While it's definitely not summer anymore, the weather hasn't quite caught up to that fact yet so it can be hard to find an appropriate outfit. We attended a wedding this past weekend in Round Top, Texas and I wanted something that was breathable (because it was outside), but not super summery. 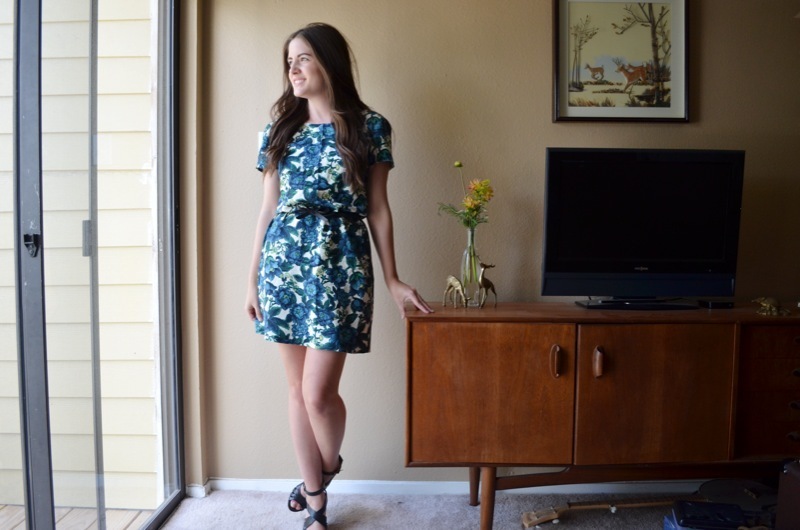 I found this beautiful floral dress at Loft recently that I got for an additional 40% off in their sale section. Major score! I paired it with a bow belt from Target and some (old) black wedges from Nine West. I love this dress because it is so versatile in that it can be dressed up and dressed down with minimal effort. I can't wait to wear this with a green utility jacket and booties this fall!